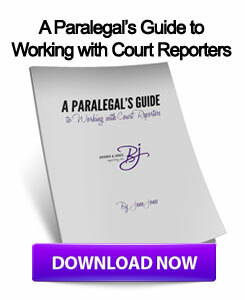 Court reporting technology has come a long way since its inception. Rather than paper and pen, court reporters now use a specialized keyboard that allows them to type in realtime and even connect to a lawyer's computer, providing the professionals with deposition transcripts instantly. The Society for the Technological Advancement of Reporting (STAR) is a main staple in the court reporting community and is holding its annual fall conference this October. The STAR conference will take place from October 4-6 at the Loews New Orleans Hotel in New Orleans, located at 300 Poydras Street. Reporters must be STAR members and RSVP by October 1. According to STAR's site, the full registration includes access to all sessions as well as the Thursday Night Welcome Reception. One-day registrations only include any business and social functions that are held on the day selected. Events at the STAR conference will include a session called "Let's Get Real" that will cover many aspects of real-time court reporting. In addition, another session called "Technology for Realtime" will be used to address the proper tools and equipment that real-time court reporters may need. Stenograph forums as well as CATalyst training will be available at the conference in addition to seminars on the CaseViewNet iPad app. There will also be plenty of networking opportunities for court reporters as well as a hospitality suite. 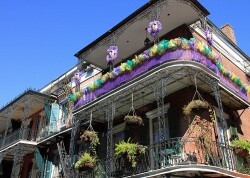 STAR also offers spring conferences in addition to the fall one being held in New Orleans. These events prove to be great opportunities to network and learn more about the technological development of court reporting. "As a STAR member, you will be able to network with court reporters throughout the United States and Canada," said Jane Jones of Brown & Jones Reporting in Wisconsin and member of the Board of Directors of STAR. This entry was posted on Tuesday, August 14th, 2012 at 10:30 am	and is filed under All Posts, Court Reporting News. You can follow any responses to this entry through the RSS 2.0 feed. You can skip to the end and leave a response. Pinging is currently not allowed.